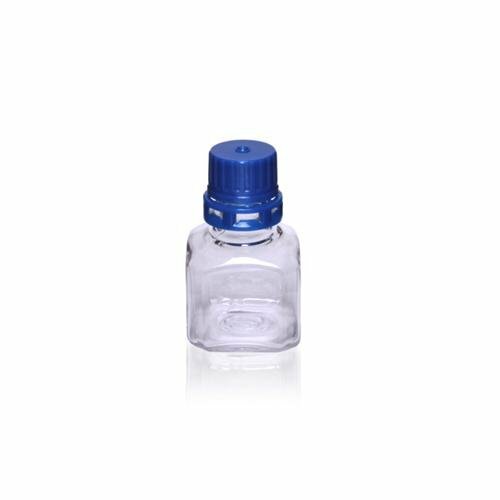 TriForest BGC0500S PETG Square Media Bottle, 500ml, 73.8"
TriForest Square / Octagonal PETG ergonomic media bottles are ideal for storage of media, laboratory reagents, and biological buffers. Bottles are radiation sterilized and come standard with a patented tamper evident closure system. They are also available with a standard cap. Graduation markings are molded in for reference filling. The bottles are provided gamma sterilized SAL 10, with blue caps engaged. 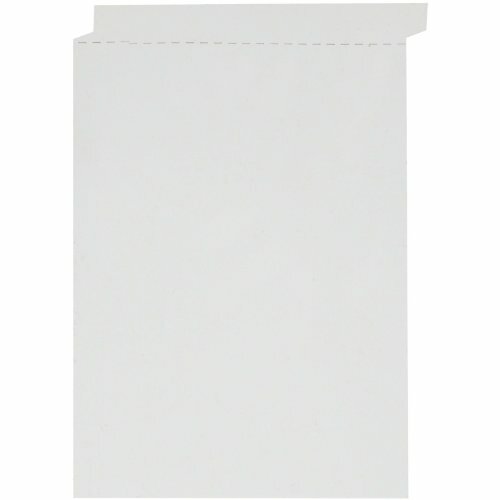 Each case is specifically packaged for sterile production with multi-barrier elastomer packaging. 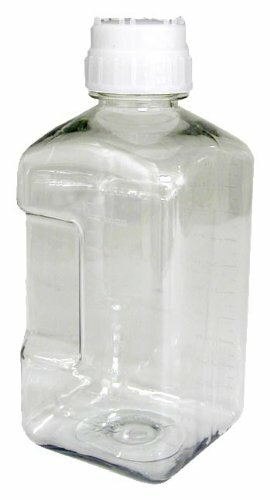 NALGENE PETG square media bottles are specifically designed for packaging and shipping liquid medias, buffers and sera. These heavy-walled, durable, square PETG bottles save space, are shatter-resistant and provide excellent gas barrier properties. 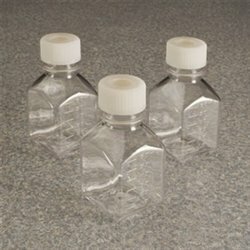 These sterile, non-pyrogenic bottles save you time from costly cleaning preps that are necessary with similar glass products. 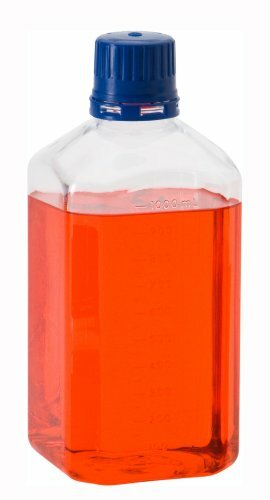 TriForest BGC1000S PETG Square Media Bottle, 1000ml, 92"
Ideal for packaging of biological and diagnostic reagents that require aseptic dispensing or addition of supplements by syringe. Bottles are leak-proof, sterile, and offered in a variety of sizes. The silicone/PTFE closure with septum provides a PTFE fluid contact surface that is inert and nonstick to ensure fluid integrity. Bottles and closures are sterile to 10-6 sterility assurance level. Biologically tested bottle and septum closure meet USP Class VI and European Pharmacopeia Abnormal Toxicity standards. No cytotoxic. 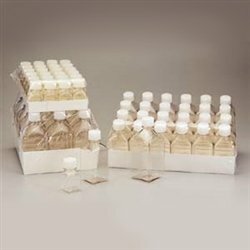 Bottles are packaged in shrink-wrapped trays in double poly-bagged cartons for cleanroom applications. NALGENE PETG square media bottles are specifically designed for packaging and shipping liquid medias, buffers and sera. These heavy-walled, durable, square PETG bottles save space, are shatter-resistant and provide excellent gas barrier properties. These sterile, non-pyrogenic bottles save you time from costly cleaning preps that are necessary with similar glass products. 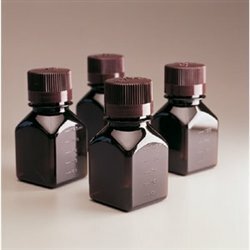 Bottles feature molded-in graduations, drip-proof neck finish for aseptic techniques, and molded-in neck ring. Products are shrink-wrapped into trays, then packed in double PE lined cartons for critical environment use. PETG media bottles are offered with and without closure. PETG media bottles meet current biological and pharmaceutical regulatory standards such as: USP Class VI, non-cytotoxic, non-pyrogenic, USP , European Pharmacopeia for Abnormal toxicity (modified), and are made from ADCF (Animal Derived Component Free) materials. PETG media bottles are suitable for air shipment and are tested during each manufacturing run to ensure leakproof performance. Gamma irradiated to 10-6 Sterility Assurance Level (SAL). 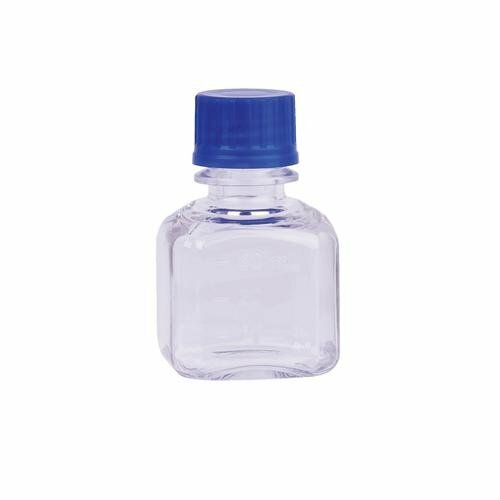 Wheaton PETG square/Octagonal media bottles are made of Eastman Tritan eastar Copolyester PETG which is the resin of choice for single use labware and medical devices. This resin meets ISO 10993 and/or USP Class VI biocompatibility requirements and is food contact status compliant. The PETG is an amorphous Material that displays performance properties including clarity and toughness as well as excellent gas barrier and chemical inertness. The products can be safely sterilized with gamma irradiation without property loss or color shift. Thermo Scientific Nalgene Square Amber PETG Media Bottles include HDPE closures. Translucent amber bottles meet USP light-resistant requirements and are ideal for media, buffers and sera. Copyright © Wholesalion.com 2019 - The Best Prices On Petg Square Media Bottle Online.